Health Minister Venko Filipce said Monday that he expects all procedures to be completed within the deadlines and that there are serious chances that the cornerstone of the new clinical center to be laid by the year’s end. At this point, a feasibility study for greenfield location is being revised. The data of the clinic directors has already been collected on what they presume and want to implement in their departments, in terms of new operating rooms, number of beds, according to the number of patients treated in the past few years. 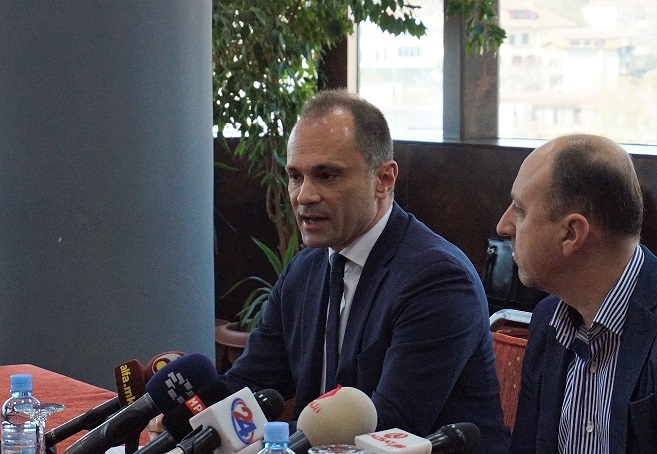 The revision of the feasibility study and all other preparatory works on the land are expected to be finished in May and then we will be prepared to officially launch the procedure, said Filipce, answering a journalist question after a press conference on the occasion of the World Tuberculosis Day. He pointed out that the revision and the current work on the land in the municipality of Gjorce Petrov are ongoing and that this period is used to prepare for all activities.